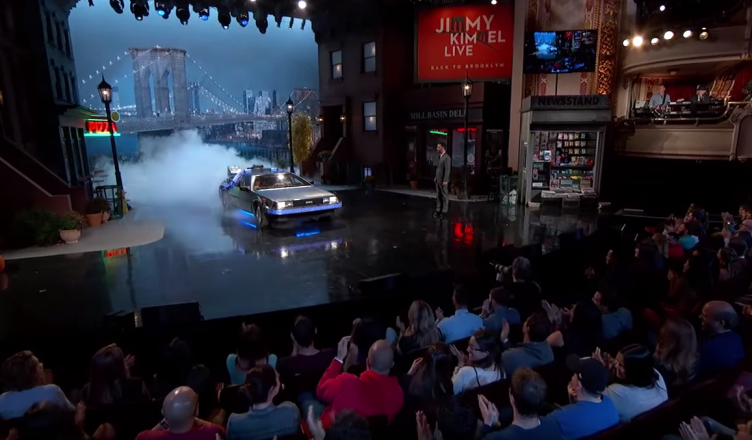 Doc Brown and Marty took a wrong turn in the space-time continuum and ended up on stage at Jimmy Kimmel Live on the night of October 21, 2015. 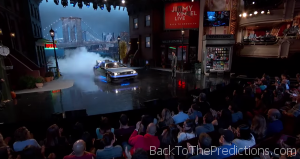 In the ten minute segment, Christopher Lloyd and Michael J. Fox reprise their roles as Doc and Marty. 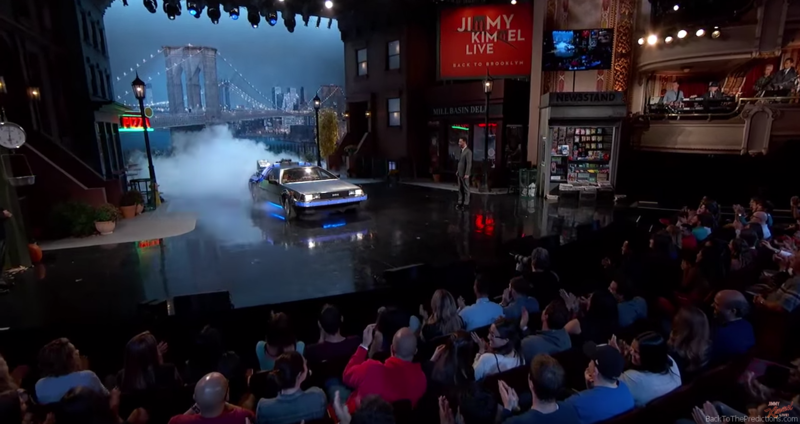 Jimmy breaks the news that we never figured out flying cars, Johnny Carson passed away, most people would probably watch them on their phones on the toilet, there are no hoverboards, there’s no peace in the Middle East, the Cubs were in the playoffs, we’ve invented the “cronut”, and important life events are documented with “selfies”. They discover Jimmy’s smartphone is a tiny supercomputer that isn’t used to triangulate complex equations, but we use it to send smiley faces to each other and Grindr. Huey Lewis and a well known “Biff” also make appearances.